According to the Center for Hearing & Communication, 48 million Americans have a significant hearing loss. 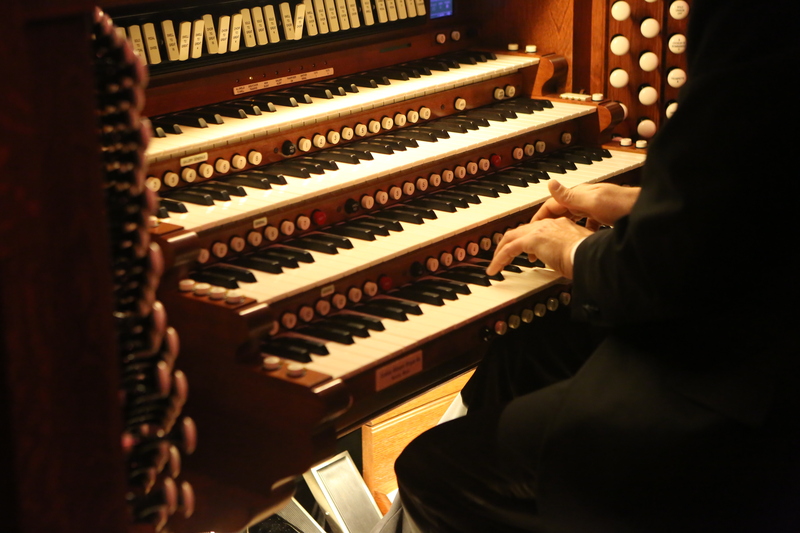 Our concert on March 16, 2019 at 7:30 pm will include accommodations – from written text translations to sign language interpreters – that will make the performance experience (including the pre-concert talk at 6:15 pm) more accessible to our deaf and hard-of-hearing friends. Tickets: Students $16; Seniors $27; Adults $32. For tickets, click here. For a video that simulates various degrees of hearing loss, click here. 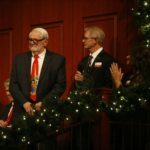 This was a fabulous article by Jay Jones in the Gwinnett Daily Post about Richard Loehn and the early days of the Johns Creek Symphony Orchestra. Photo by Ben Weitz Photography. As we approach Thanksgiving, the Johns Creek Symphony Orchestra would like to publicly acknowledge the incredible level of support we receive from our friends in the community. As a nonprofit symphony orchestra, it is simply not feasible to support our operations based on ticket sales alone, and this is not unusual. 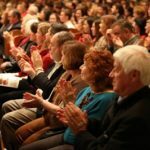 The typical professional symphony orchestra in the United States relies on a complex matrix of public, private, and individual donors to augment earned revenue brought in through ticket sales, sold performances, and program advertising revenue. The Johns Creek Symphony Orchestra’s most significant supporter is the Fulton County Board of Commissioners, who provided us with a $15,000 contract for services to support our 2018 performances. This funding is an extremely important and critical component of our budget, as it provides unrestricted funding of our operations, allowing us to pay for administrative costs, artistic personnel, technical support, marketing expenses, and more. Our sincerely thanks go to our Fulton County Commissioner Liz Hausmann and the staff and administrators at the Fulton County Arts Council for their support of the Johns Creek Symphony Orchestra through this annual contract. The City of Johns Creek was extremely generous in inviting the JCSO to perform on its annual Summer Concert Series for the second year in a row this past October. 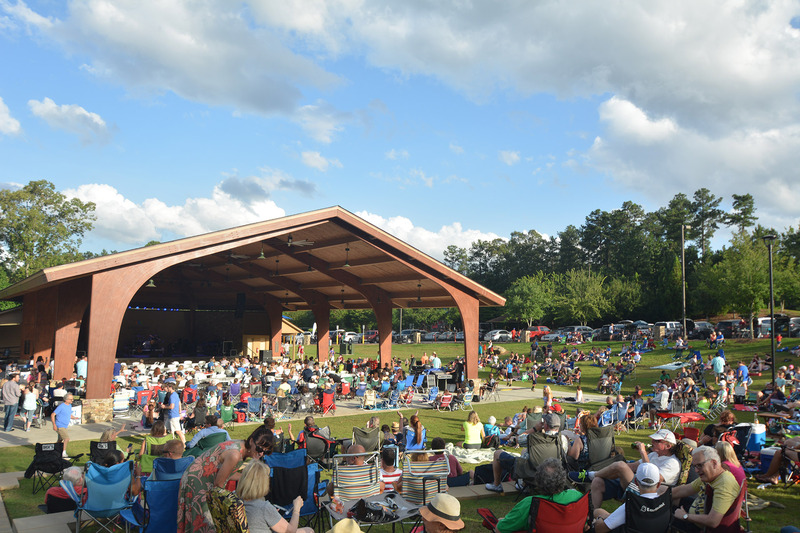 This annual concert is an important outreach opportunity for the JCSO, as it allows us to perform at the beautiful Mark Burkhalter Amphitheater at Newtown Park for a crowd of over 1,000 people. Largely due to the City’s support, we are able to perform free of charge for our audience, making classical music available and accessible to every single person in greater Johns Creek. Special thanks also go to the Rotary Club of Johns Creek-North Fulton and to Stuart Perry, Farmers Insurance Agency in Johns Creek for providing additional funding for the Newtown Park concert. 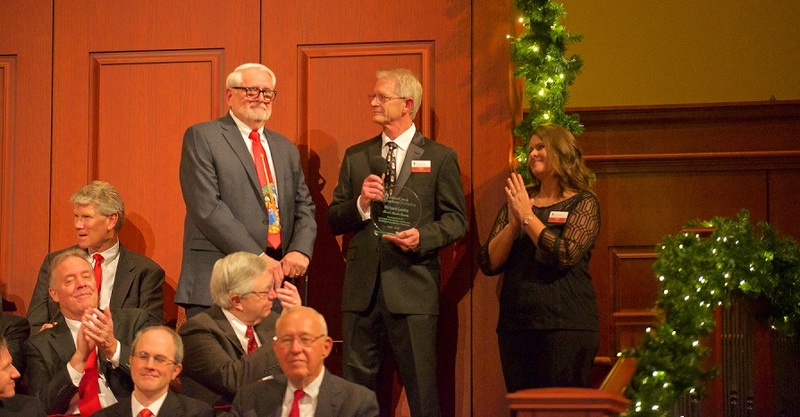 In addition to Fulton County, the Johns Creek Symphony Orchestra received a $5,000 grant in 2018 from the Georgia Council for the Arts through the appropriations of the Georgia General Assembly. GCA also receives support from its partner agency – the National Endowment for the Arts. This grant played an important role in our ability to fund our American Dream performance in May. Earning a grant from this statewide entity is not just a monetary gift; it is an honor and an endorsement of the quality of the artistic product that the Johns Creek Symphony is presenting for our community, stacked up against many other arts organizations in the State of Georgia. We are grateful to have received this support this year. We also have a number of corporate sponsors who provide a critical level of support for our 2018-2019 season. Education and outreach are an important part of our mission, and to that end the JCSO has a comprehensive menu of concerts that we perform in the schools, nursing homes, and at other community events. 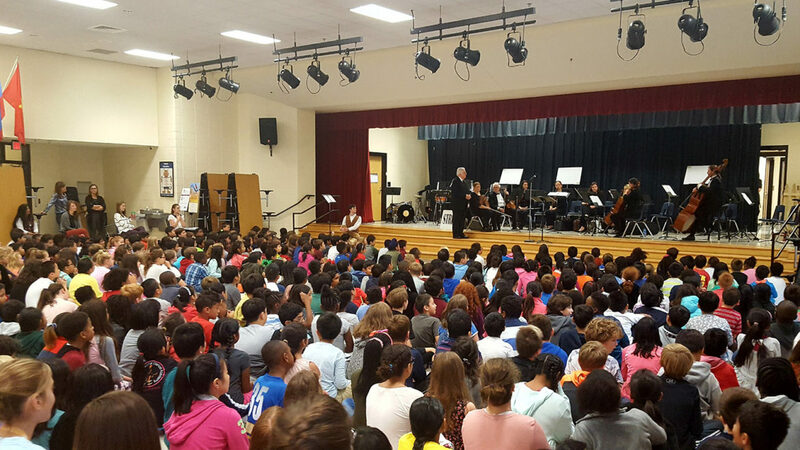 Last spring, the orchestra was fortunate to receive a grant from World Financial Group–Transamerica Foundation to perform one of our “Meet the Orchestra” concerts at Hembree Springs Elementary School. These concerts introduce the children to the instruments of the orchestra section by section in a fun, un-intimidating program that is narrated by Stan-the-Music-Man. Over 400 kids were in attendance. Emory Johns Creek Hospital generously sponsored our season-opening concert, “Maestro and Friends,” and has been a very strong supporter of the JCSO in almost every way for many years. Gwinnett Medical Center Duluth has also provided the JCSO with consistent support for our season for a very long time. Our newest season sponsor is Renasant Bank, who joined us for the first time this year, and we are thankful that they have decided to make the JCSO one of the beneficiaries of their philanthropic efforts. Additionally, we have media sponsors who provide us with in-kind support of our marketing operations, allowing us to expand our reach within the North Fulton community. These include ClearChannel Outdoor, who have made it possible for us to reach entirely new audiences with outdoor, billboard advertising in our community; and Appen Media, whose print, electronic, and social media support has been an invaluable contribution to our orchestra. We have begun holding special FUN-draising events this year, with beautiful music popping up in unexpected places around the city. Many thanks go to City Barbecue for including the JCSO in their Johns Creek store’s opening week of fundraising events; to Ali Adabi and Culver’s of Johns Creek for having a special Share Night featuring JCSO musicians on their beautiful patio in Suwanee and also for providing delicious frozen custard for our “Maestro and Friends” post-concert reception; to Cleve Gaddis and Gaddis Partners for sponsoring the music for our 2nd Annual Culinary Fantastique Dining Event; and to Edward Jones Financial Advisor Dennis McLynn in Suwanee for sponsoring Santa’s big trip to our Christmas Gala, all the way from the North Pole! As you can see, it takes a village to support an orchestra, and these are just a few of the many entities who make the JCSO’s beautiful music on stage a reality. 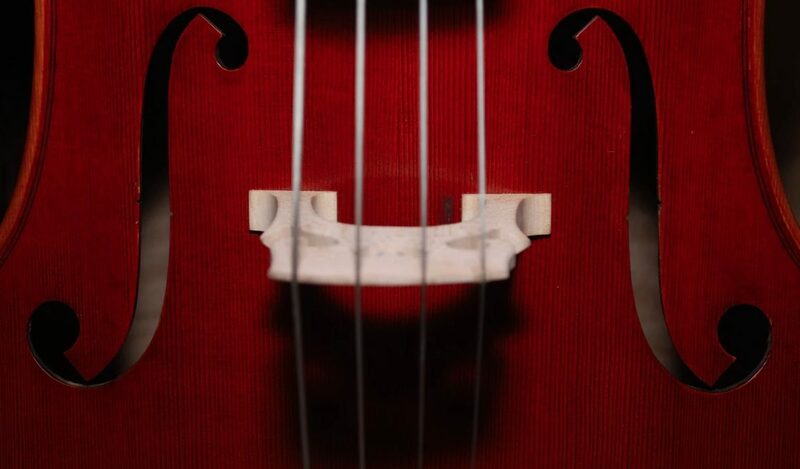 We encourage you to visit our donor page to view a complete list of the people, organizations, and businesses whose support enables the JCSO to bring professional classical music into the Johns Creek community during the year. If you are able, please patronize those who support the Johns Creek Symphony Orchestra, and mention that because their contribution makes a big impact for the JCSO, it matters to you. If you or your business are interested in sponsoring or getting involved with the Johns Creek Symphony Orchestra, please visit our sponsor page or contact JCSO Executive Director Linda Brill at johnscreeksymphony@gmail.com. FREE event at Ocee Library! 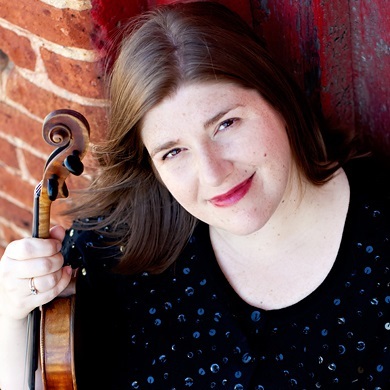 Join Maestro Baughman and Concertmaster Adelaide Federici at the Ocee Library on Saturday, November 17, 2018 for a FREE, live reading/performance of “Ferdinand the Bull” at 11 a.m. Bring the Littles! JCSO Has a “Blast” with Kids! The kids jump up from their seats, laughing and pointing to the stage with huge grins on their faces. Music fills the air and they are super excited. Are they are at rock concert? (No, although the tuba player does have blue hair!) They are at a Johns Creek Symphony Orchestra performance, and they are having a ball. 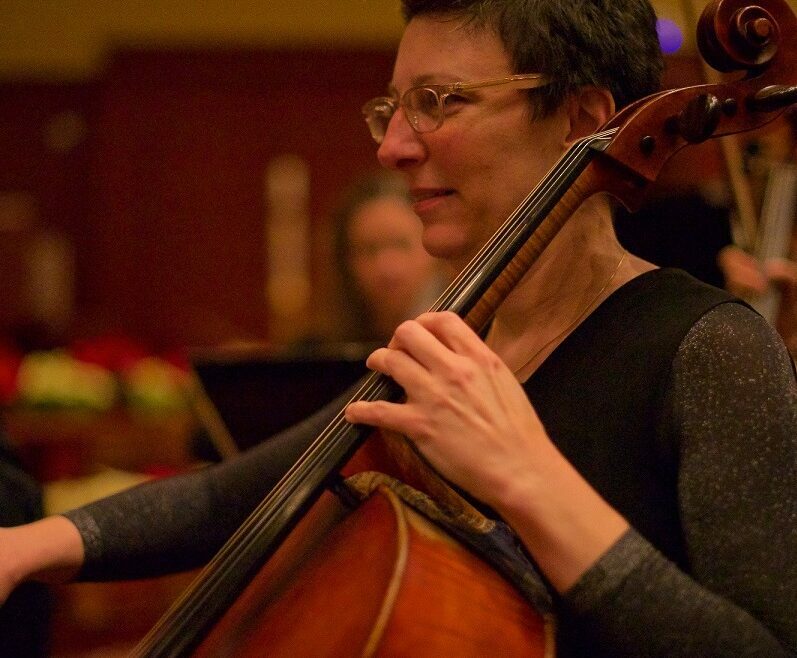 Several times a season, the Johns Creek Symphony Orchestra performs in elementary schools in and around the Johns Creek area, spreading the love of classical music in a fun, educational, and non-traditional way. No one is expected to stay quiet. 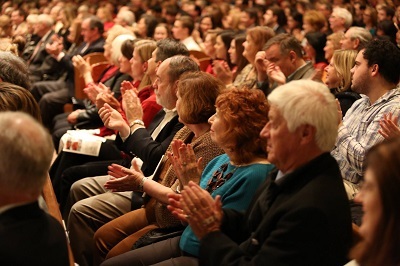 The orchestra loves it when the audience claps at any time during the performance, and audience participation is encouraged. At the present time, the JCSO has two performances that it presents in the schools. The “Meet the Orchestra” performance introduces the young audience gradually to the various instrumental music families of the orchestra by virtual of a young Stan the Music Man emcee. First, Stan welcomes the maestro and the string performers, who introduce the kids to the instruments and play a few 10-second excerpts of beautiful string-only music. This year the orchestra also featured a talented young 5th grade soloist named Elizabeth, who performed a music by Vivaldi. Next, the woodwinds instrumentalists are brought in and introduced one by one, with short bits of music from each, from the Far East sound of the oboe to the grandfatherly bassoon. The brass enter next, demonstrating the louds and the softs, the jazzy and the outlandish. Suddenly, crashes and drumrolls sound from behind, and the kids jump up to see an entire percussion section marching down the aisle. What fun! The last instrument to join the stage is the harpist, who enthralls the room with lush waves of chords and shimmering curtains of sound. At the end, all the sections play together so the kids can hear what a complete orchestra sounds like. The orchestra’s second show, “Brass & Percussion Blast” concentrates on the sections of the orchestra that the kids find most fascinating. In Johns Creek, we have found that many students already take lessons on string instruments, but it is rare to find a young student studying the wind and percussion instruments. This show focuses on the brass and percussion, the origins of these instruments, and demonstrations of repertoire that are unique to these families. Although the kids are entertained during the 50-minute concerts, there is a considerable educational component to the experience. Stan the Music Man and Maestro J. Wayne Baughman explore music terminology (such as the difference between staccato and legato) and discuss how instruments are constructed. The kids learn, for example, that a harp has pedals that control the pitch, and that the percussion section is actually the largest section of the orchestra. The maestro even points out that, sadly, his baton makes no sound at all! 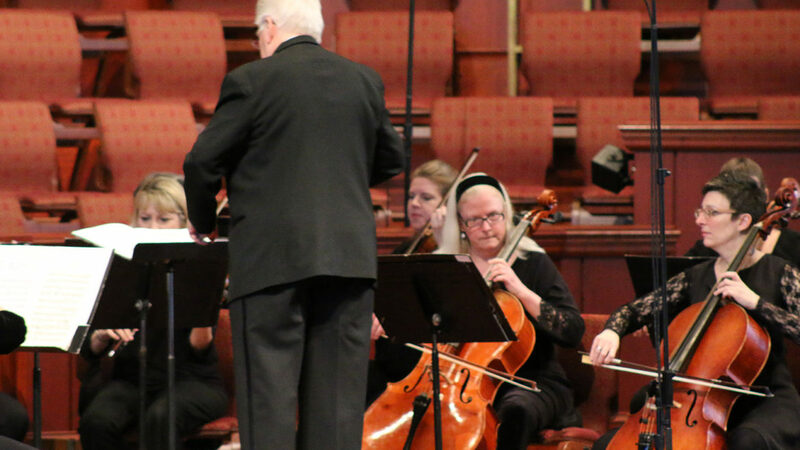 The Johns Creek Symphony Orchestra’s educational programs are generally performed for 4th or 5th grade students, who shortly will be deciding whether or not to play an instrument in their school’s band or orchestra program. For many, if they do not already play an instrument, it is choice of which one they should play that is the hardest part. If time allows, after the concert the children are invited to meet the musicians, get a closer look at the instruments, and ask questions. While the Johns Creek Symphony Orchestra would like to perform six or eight of these concerts every year, like all things it is a factor of cost. 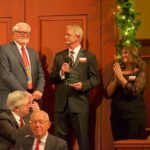 Funding for the first performance of the season was generously provided by the Fulton County Board of Commissioners and Fulton County Arts and Culture. Another concert, location as yet to be determined, will take place in the spring of 2018, funded by World Financial Group and Transamerica Foundation. If you or your company would like to help fund more of these concerts for Johns Creek area kids, please contact Linda Brill, executive director, for details at johnscreeksymphony@gmail.com or (678) 748-5802. Fundraising Event at Publix Aprons Cooking School to feature American Cuisine. 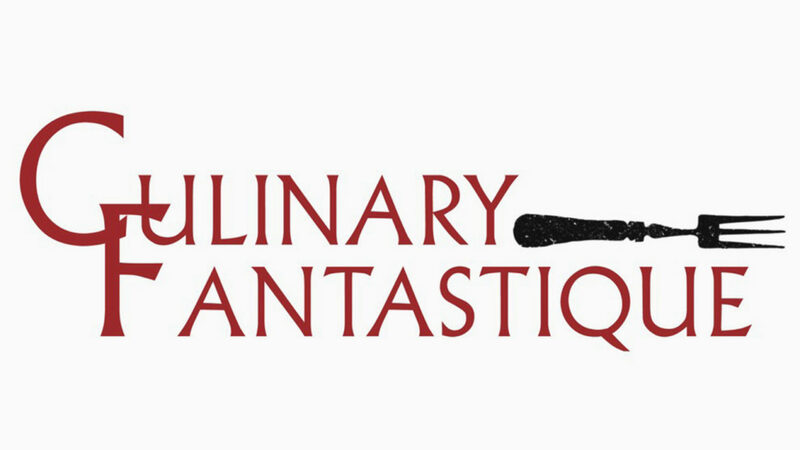 Johns Creek, Georgia– The Johns Creek Symphony Orchestra is excited to announce a new fundraising event, Culinary Fantastique, which will take place on Saturday, April 28, 2018 from 6:00 p.m. to 8:00 p.m. at the Publix Aprons Cooking School at Alpharetta Commons, 4305 State Bridge Road. Each tax-deductible* ticket is a passport to flavors from all four corners of the country, freshly prepared by a team of professional chefs. Learn your favorite dish’s background, how to prepare it, special cooking techniques, and more, peppered with humor and in the company of friends. The special evening culminates in a delicious four-course meal paired with wine. TICKETS for this special event are $75 per person. The RSVP and pre-payment deadline is Friday, April 20. Reservations can be made by calling (678) 313-1094 or by email at ccsalim38@yahoo.com. Hurry, as only 50 tickets will be sold. *JCSO is a 501(c)3 nonprofit organization. For tax purposes, this event has a value of $45 per person. Any amount donated over $45 per person is deductible to the extent permitted by law. Johns Creek, Georgia– The Johns Creek Symphony Orchestra’s 2017-2018 season is quickly approaching, and subscriptions are currently available, saving subscribers 20% off the price of single tickets purchased separately. SUBSCRIPTION TICKETS (All 3 concerts) are $77 for adults; $65 for seniors; and $38 for students. INDIVIDUAL CONCERT TICKETS (Just 1 concert) are $32 for adults; $27 for seniors; and $16 for students. For tickets, call (678) 748-5802 or visit www.johnscreeksymphony.org. Saturday December 16, 2017 at 7:30 p.m. The JCSO’s annual celebration of the Most Wonderful Time of the Year! 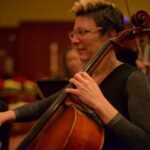 Sunday, March 11, 2018 at 3:00 p.m.
A special matinee performance featuring our very own string section in St. Paul’s Suite, and more! Saturday, May 12, 2018 at 7:30 p.m.
A musical tour of the country we call home, from Broadway to the Wild West, with many stops in between! All performances are held at the Johns Creek United Methodist Church, 11180 Medlock Bridge Road in Johns Creek, Georgia. Welcome to Season Nine! We are excited to invite you attend what is going to be a remarkable three-concert season under the direction of Maestro J. Wayne Baughman, filled with special programs and guest performers. To ensure your seating and tickets to all events, purchase a Friends & Family Season Ticket Package for a 10% savings today! We begin this season with a very special milestone – our 10th Anniversary Annual Christmas Gala & Holiday Pops Concert. 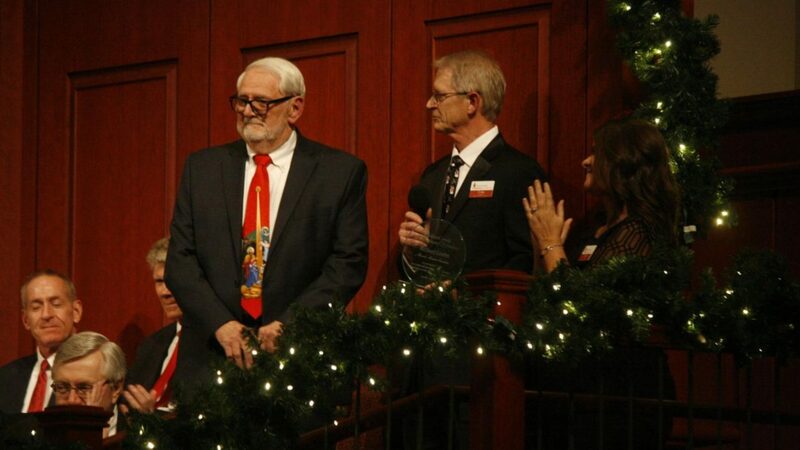 Yes, that’s right, ten years of performing the best holiday music in all of the north metro area! Your season ticket ensures a seat among what will be a sold out audience of 1,400 patrons as we bring you the full JCSO and Christmas Gala Chorus, the return of special featured guest Jazz Trumpeter/Big Band Performer Joe Gransden and his quartet, along with guest soloists and just perhaps a few surprises! We return to the beautiful Johns Creek United Methodist Church on Saturday, December 19th at 8:00pm. Note that these tickets are for general admission seating, mailed Fall 2015. For the next two concerts, we return to the Theater at Johns Creek High School. On Saturday, February 27, 2016 we present “Side by Side!” This very special evening of music enables us to support our commitment of providing professional assistance to the area’s best high school musicians by having them perform on stage with the JCSO. For the first part of our evening, there will be over 80 musicians on stage at the same time! We welcome the Georgia Piedmont Youth Orchestra (GPYO) and their conductor Rolando Salazar. Selections will include Academic Festival Overture by Brahms, Prelude to Die Meistersinger by Wagner, and Danse Bacchanale from Samson and Delilah by Saint-Saens. After intermission, the JCSO returns to perform Beethoven’s 5th. On May 14th we present our season finale a “Salute to Love!” This pops tribute will highlight the music of love and romance from Bacharach to Bizet. Enjoy musical selections from Dr. Zhivago and West Side Story, medleys from Burt Bacharach along with other pops classics, and some light classical tributes such as Tchaikovsky’s Romeo and Juliet Fantasy Overture and Bizet’s Carmen Suite No.1. A soprano soloist and a few other special guests will make this an outstanding way to conclude Season Nine! Note: Tickets for February and May are reserved and will be mailed sometime after January 2016.